Pantone releases its fall color trend forecast each year for fashion and home decor. 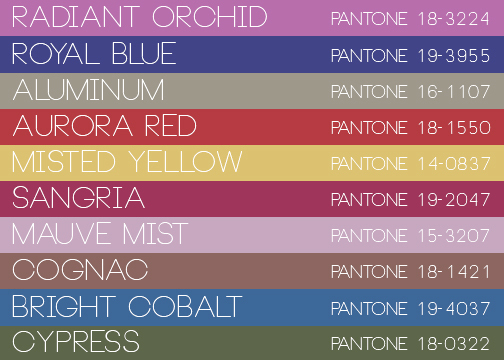 The hot new trendy colors are Radient Orchid, Royal Blue, Aluminum, Aurora Red, Misted Yellow, Sangria, and Mauve Mist. Let’s take a look at a 5 ways you can help spruce up a room and add a touch of the latest fall color trends to your home. as we make the transition into autumn and winter and how to Mix & Match Fall Color Trends. 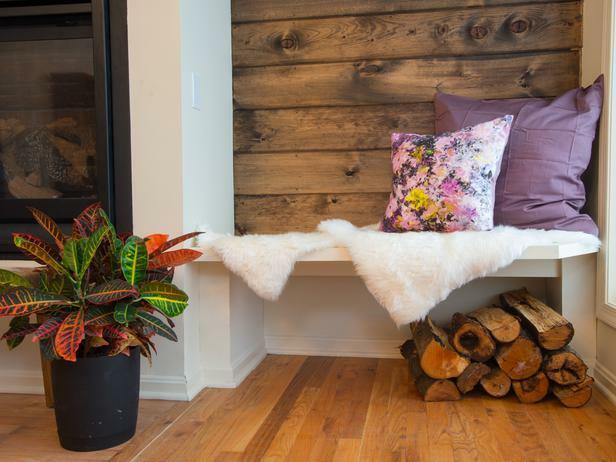 If you enjoy a more neutral color palette in your home, you can easily freshen it up with subtle splashes of plum and mauve accessories, like textured and patterned throw pillows. Mauve mist has warm undertones and coordinates well with natural wood, creamy whites and other neutral colors. This color works especially well in bedrooms. Bright cobalt pillows and ceramic accessories paired with aluminum gray help keep this living room feeling more modern. The cobalt color also brings interest to an otherwise visually quiet space. 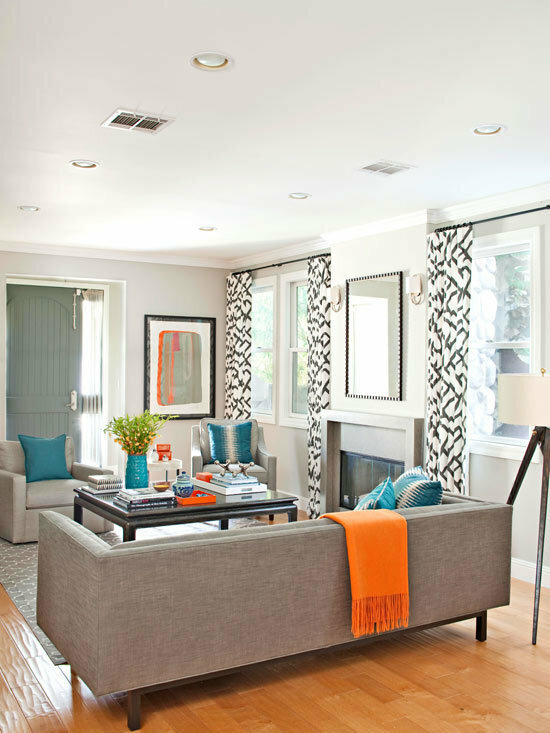 Switch out your artwork for an instant change in a room’s appearance. The fall trend color Cypress green works well in most homes. Cypress trees are plentiful where I live so naturally I’m fond of the color! 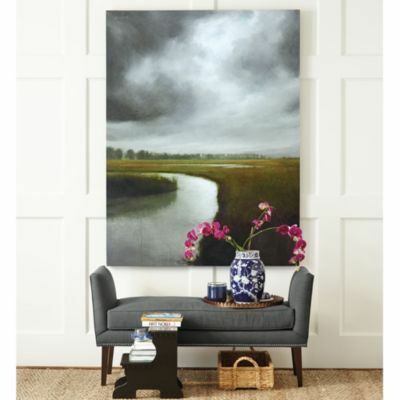 Last year I added this gorgeous painted of Storm Over the Marsh to my dining room. The painting depicts the coastal marshes (with Cypress trees in the background). 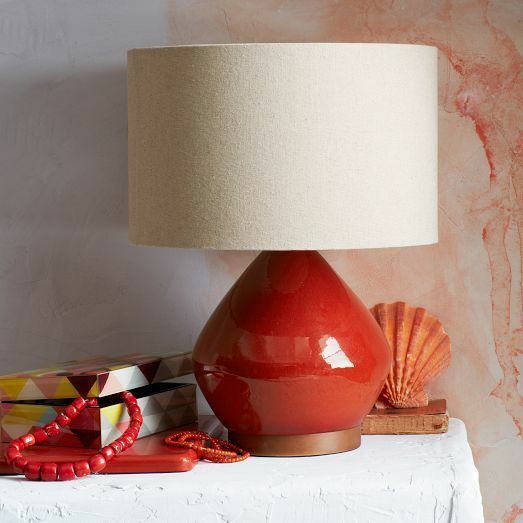 Toss in some spicy heat with an Aurora Red lamp. 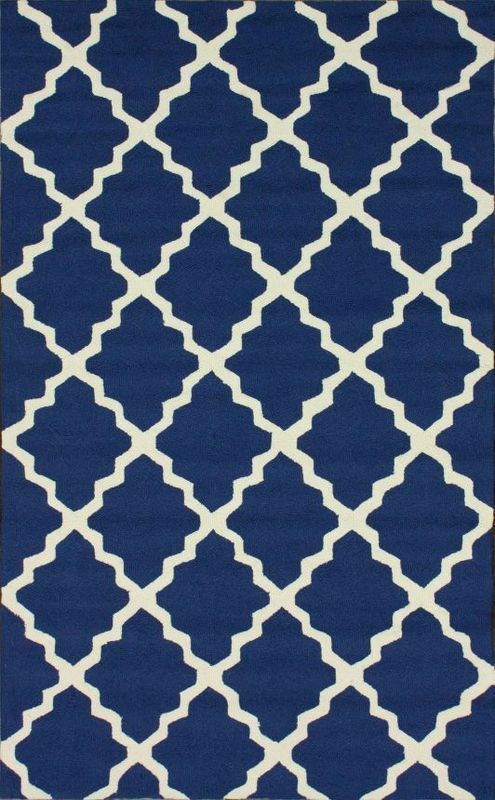 Perk up your family room with a new rug with a contemporary pattern in Royal Blue. Another way to transition into fall’s hottest color trends is to update your window treatments. Pantone’s Misted Yellow reminds me of the beautiful golden Aspens in Colorado. 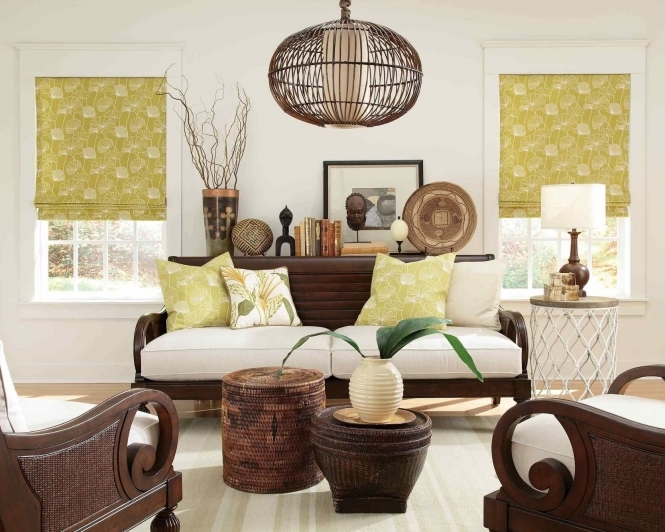 These Décorview flat Roman shades in a pretty yellow print brighten the room and lend a sense of casual, relaxed cheerfulness.an industry leader in interior design trends and custom window treatments. Décorview is an industry leader in interior design trends and custom window treatments. They offer great in-home consultations and carry the ultra convenient Hunter Douglas motorized window treatments that I would love to have! If bold and sassy statements of color are more your fancy this fall, then express yourself with Pantone’s color Sangria, with vibrant and saturated hued, light filtering shades. 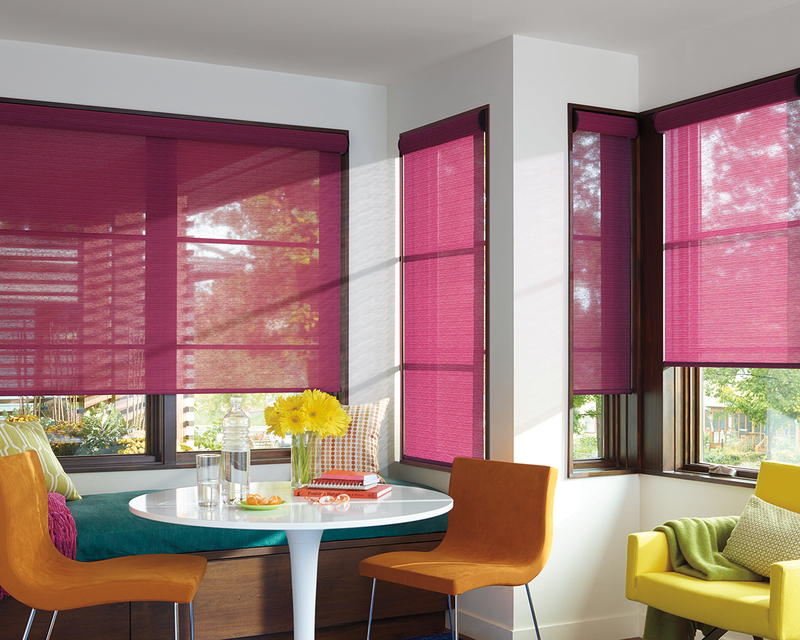 These blinds help you to make the most of the natural light in your home. I hope that these easy tips help you gather some ideas as how you can add the new hot fall colors into your home! 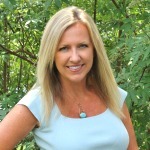 This is a sponsored conversation written by me on behalf of Décorview. The opinions and text are all mine.